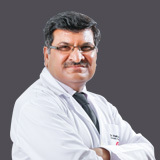 Dr Khalid Ali Khan Graduated from King Edward Medical University, Lahore in 1988. Dr Khalid Got training in internal Medicine as a resident Medical officer from Mayo Hospital, Lahore, Pakistan. Dr Khalid Worked as a Medical Specialist in Najran Armed Forces Hospital Saudi Arabia from 1995-2002. And did several presentations on Rheumatic diseases in annual Irish Society for Rheumatology meetings. Having several publications on Rheumatoid arthritis, Osteoporosis, still's disease in different Rheumatology Journals. Also got certifications in the specialty of Rheumatology from the Federations of the Royal Colleges of the United Kingdom and the British Society of Rheumatology. 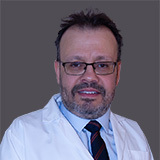 Particular interest in the Management of inflammatory arthritis, Connective tissue diseases, osteoporosis and Gout.